Australia is a bit short on really good, small and customer focussed vintage guitar people. My good friend, Ian Stehlik - Dr Zot (Zone of Tone) - is such a person. Ian is based in Canberra, Australia. 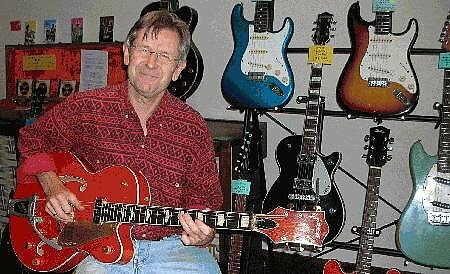 Ian says "I'm a long-term guitar player and collector who plays, buys, sells, trades, appraises, repairs and restores vintage accoustic and electric guitars and valve amps. I usually have a small but interesting selection of guitars and amps listed in the Current Inventory page. If you're buying, selling, or looking for something special, have a browse, or e-mail an enquiry - we always try to reply quickly. Prices are in Australian dollars, and I ship internationally. If you have any interesting old guitars or amps for sale, let us know. We are always keen to have a look at any pre 1985 guitars and old valve amps and often pay cash for items. We can also consign items for sale on the ZoT site for a small fee - just email info@zot.com.au for details."